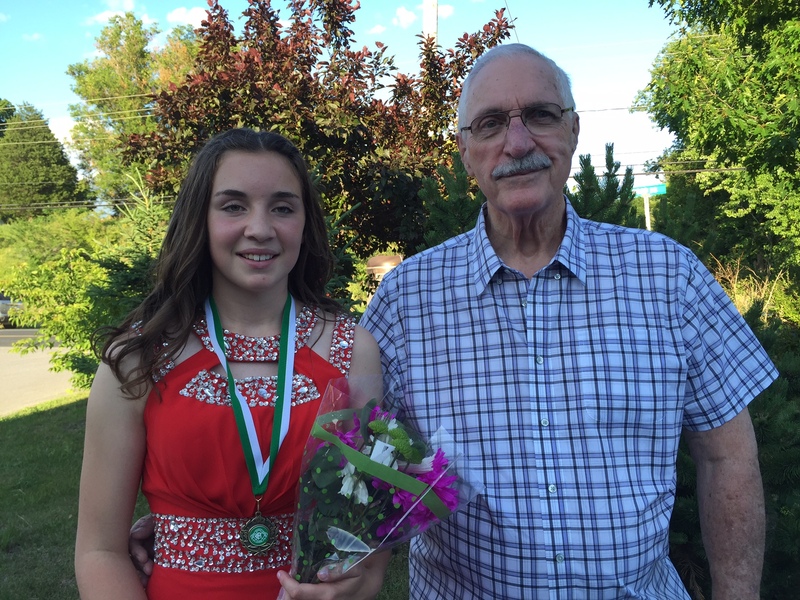 A couple of weeks ago, I had the honour of hearing Grace deliver the valedictory address at her grade 8 graduation. I am so proud of the beautiful, smart funny person she has become. But I was especially proud because of what she shared that night and how brave she was. Her words were insightful. She reflected on her classmate’s accomplishments, and spoke with hope and optimism about the future. I think we all need to take a moment for this kind of reflection especially at important milestones in our lives. This week’s #HappyAct is to write your own valedictory address. Reflect on your accomplishments and look ahead and envision your future. Here’s Grace’s speech. “Ladies and gentleman, fellow students. At this school, we come here for one reason and one reason only, and that is to learn. I have been at Prince Charles since I was in Junior Kindergarten and I’ve had my ups and downs, but overall, this school has helped me to find myself as well as my future. Every person in this world is smart, whether it is sports, academics or leadership. Every person in this world is smart no matter how you describe it and I’m sure all the parents of the graduates are proud of what they have accomplished in life as a student as well as a person. Tonight we are celebrating the first chapter in every graduate’s life. On our first day of high school next year we will be starting a new chapter, a new journey and a new way of life. I would just like to take this opportunity to thank everybody who has made our first chapter incredible—parents, teachers, family, friends, principals, vice-principals and many more. We have created so many memories in the first chapter. The one memory I’ll never forget is coming second in the girls basketball tournament a few years back. Even though we lost in the finals, we still worked together as a team and we had such a great day. I can still remember when some of the graduates didn’t know how to tie their shoes and now they are maturing into adults. Even this year as a class, we have created so many memories, such as playing a good game of Dr. Dodgeball in class, our year-end field trip to Canada’s Wonderland or the St. Lawrence Cooking program that we participated in earlier this year. These are all memories that we will never forget. We all have challenges that we need to face in life, but when we do face them, it makes us stronger, better people. When I was three, I was diagnosed with autism and I had a lot of trouble making friends when I was younger, but I dealt with it because we have to face our challenges in life. Wow ! What an inspiring message for our kids, congratulations as a parents you should be proud.